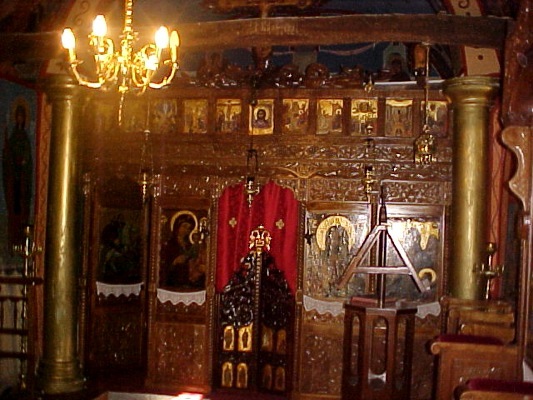 At the location of Dobritsi of Riachovo, which belongs to the region of Pogoni of the prefecture of Ioannina, is the Monastery of St. George of Riachovo, in a magnificent natural environment. The monastery was founded and started its building on March in 1998 and was complete on December in 2004, under the supervision and the care of the priest of Riachovo, I. Besios. The monastery of Riachovo belongs to the Metropolis of Ioannina and in a little time after its opening has shown a significant effort of work. In the monastery besides the church, there are also available spaces for many kinds of activities, such as: an Amphitheatre for cultural events, entertainment places, basket court, playground, etc. 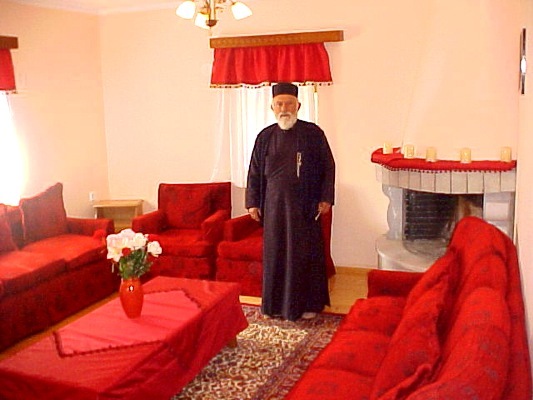 In the monastery there is also a guesthouse for the hosting of the abandoned elderly persons of the region and it can host 20 persons totally. 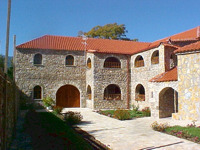 The guesthouse has 8 double rooms and one triple room. The region is very interesting for every visitor, as you can enjoy the nature with the beautiful forests of the region, the water from the springs of the region, etc. 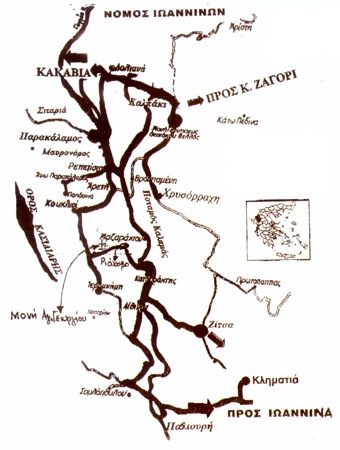 The region is especially appropriate for school trips.